We are constantly reading about how fast mobile technology is progressing and how far we’ve come from the days depicted in the photo below. While it is true that the mobile phone has had a more significant effect on our lives than many other advancements the world has made, in simple terms I will say “We aint seen nothin yet”. Over the next three years, we can expect to see processes that are beginning to show their faces now, come to fruition with most people utilizing them on a daily basis. Many of these advancements are already being used by the early adopter community, while others seem like somewhat of a long shot, but all of them, believe it or not, are right around the corner. 1. No Wires: It boggles the mind that in a world with wireless internet on planes and countless numbers of wireless protocols such as Bluetooth, Wifi, Wimax, not to mention Infrared and others, we are still plugging in our mobile phones to charge them and transfer data to and from them. In the mobile world of tomorrow, there will be no wires, not for syncing your iPhone, charging your Nokia phone, or transferring the photos from your Android device to your computer. 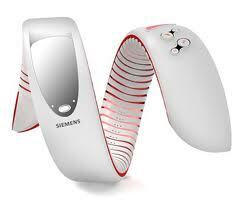 Everything will be done wirelessly and like many other items on this list, this process has already begun and in a major way. Over the air updates are already something supported by certain platforms, and Apple’s newest version of iOS, iOS5 supports the capability to sync your iPhone, iPod, or iPad wirelessly. In addition, iOS5 now enables you to update the OS, by only downloading the delta and not the entire firmware, which means a decrease in time and data when updating the OS. Wires are so 2010. 2. 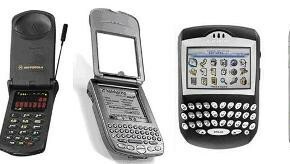 Faster Web: It was not long ago that we were all accessing the internet via a WAP portal on EDGE or 2G. Of course, now 3G technologies are completely mainstream and more and more people access the Web on their mobile devices, thanks to platforms like iOS and Android. However, the mobile Web is far from where it can and will be in the coming years. 4G technology is here and spreading like wildfire. It is just a matter of time before 4G completely replaces 3G and we start enjoying mobile broadband speeds of up to 100Mbps on a global scale. What will this mean? It will directly translate into even wider usage of the mobile Web including more HD content, larger downloads, and less need for a non portable desktop or even laptop computer. 3. NFC: By now NFC (Near Field Communication) has become a full fledged buzz word. Everyone seems to want a piece of the action and Google is one of the main pioneers pushing NFC technology into mainstream consciousness. What is NFC? Think Bluetooth meets Infrared meets QR Codes. Google’s Nexus S was one of the first devices to have an integrated NFC chip that allows the device to communicate wirelessly with an NFC sensor. This can be used for payment with your mobile device, pushing marketing or other content to the user’s phone, as well as many other possible scenarios we have not even thought of yet. NFC has taken off in many parts of Asia, and there are constant rumors of the next iPhone coming with NFC capabilities. Whether or not that rumor is based in reality, Google Wallet, a service that makes use of NFC for mobile payments is already live and it seems that Google is very much putting all its eggs in the NFC basket. It won’t be long before all high end phones come with NFC the way Bluetooth or Wifi are widely available today. 4. Consolidation: One of the main characteristics we are seeing in the mobile space today is that everyone has what to say. There are many mobile platforms competing for the consumer’s business, many app stores hoping to help with app distribution, and many hardware manufacturers trying to pick up as much market share as possible. This is going to change. 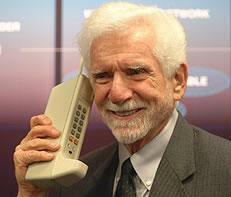 In a matter of a few years, there won’t be ten mobile operating systems, there won’t even be five if you ask me. I am betting that in the smartphone arena, we will see iOS, Android, Windows Phone 7, and maybe one more OS that will target the enterprise segment exclusively (hoping RIM can stay around, but not optimistic). In terms of apps, there won’t be tens of independent app stores, as well as multiple app stores for each platform (Amazon, Android Market, etc.) We can expect to see major consolidation in the mobile space with the big players swallowing up the little ones via acquisitions and other methods, which in turn will make the consumer experience of discovering new apps simpler and more intuitive. This is assuming of course, that the app stores themselves help with their own app discovery initiatives. 5. Mobile Advertising: Once again, no surprises here. All signs point to the fact that advertising on the mobile device is following in the footsteps of Web advertising and will even pass the Web in the coming years. I don’t need to tell you how big Web advertising is, just take a look at Google’s revenues. Now imagine a world in which brands have the ability to target their audience, not only from a computer, but from a device that is with the user always and everywhere. Not only is this tremendous potential for brands to reach their users, it also creates an opportunity for users to receive advertisements and content that is super relevant and targeted to their location, interests, and needs. The mobile advertising space, according to many predictions, is expected to surpass $50 billion in revenue by the year 2015. Today, with the ability to display interactive content on a mobile device, brands are already taking advantage of this hot space by allocating their marketing budget from billboards to mobile phones. Brands are beginning to understand that digital advertising and specifically on the mobile device is the most quantifiable and measurable form of promoting a brand or product. Those companies that have not yet come to this realization, will do so in the immediate future. 6. 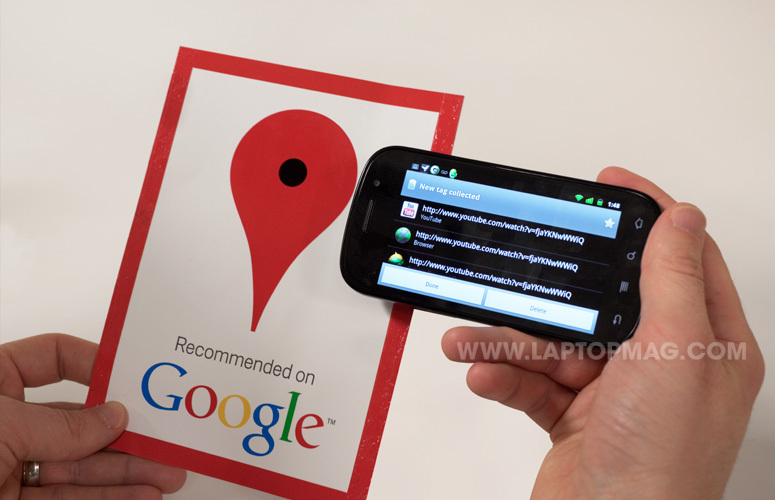 Location: Location is not a new topic in the mobile world and GPS is already considered an old school technology by many. However, as technology advances, and mobile devices come with more and more built in sensors such as accelerometers and gyroscopes, location information is becoming increasingly accurate. To go back to the previous point as an example, if yesterday we were able to target a user based on the country or city they were currently in, today, we can send mobile advertising campaigns that are targeted by the precise location of a user and their proximity to a certain venue. Of course, this causes privacy concerns among many users, and location services and permissions are still optional and need to be activated on a mobile device, but based on current trends, “broadcasting your location” is the new “updating your status.” With services like Foursquare, GoWalla, and Facebook Places becoming more and more mainstream every day, it won’t be long before business will be expected to push exclusive bonuses to consumers who walk or drive by their venue and those that don’t will lose customers over it. 7. 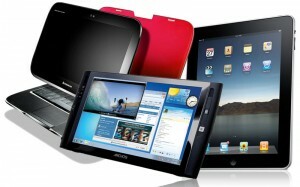 Tablets Galore: Right now, there is no tablet industry, there is only an iPad industry. The iPad has over 95% market share and has no real competitors. This will change fast. With new devices such as the Samsung Galaxy Tab 10.1 introduced almost daily, it is only a matter of time before consumers understand that there are alternatives to the iPad. In addition, Google shows no intention of letting Apple remain the undisputed king of tablets and continues to innovate on this front. In tomorrow’s world, we can expect to see hundreds if not thousands of different options for the tablet consumer and tablets will most likely become the primary device used to access the Web. Of course, tablets will come with full cellular capabilities like some do today, and will offer a super intuitive and seamless experience for content, multimedia, and communication. 8. VoIP: It feels like just yesterday that I was working at one of the largest telecommunication companies on the planet and we were discussing the future threat of Voice Over IP technology, a.k.a, VoIP. Again, this is not something you need an imagination to foresee and there are already countless apps and services out there that enable you to call via the VoIP protocol, which ultimately means cheap or free calling across the globe. However, apps and services is where it stops today. Tomorrow, however, VoIP will be an integrated option for smartphones and when you press Send on a call, you will be presented with an option to call via cellular lines or via the Web. 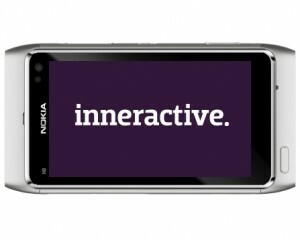 This already exists on many devices such as Nokia’s Meego N900, but it will become much more widely available tomorrow. The first step in this process has already taken place. Microsoft, the world’s leading software company and the entity behind Windows Phone 7, one of the few platforms expected to survive, recently acquired Skype, the leader in the VoIP space. It won’t be long before Windows Phone 7 will come with full Skype integration, which means less dependency on mobile operators and significantly lower calling rates. 9. 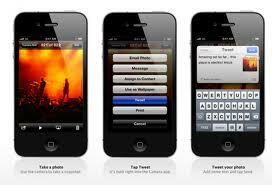 Social Integration: Last but not least, mobile technology and the social Web are on a collision course. While today, the App Store is overflowing with Twitter apps, each and every one of those developers should be losing sleep over the fact that iOS5 comes with Twitter deeply integrated into the OS. Google recently launched what appears to be its first ever successful social initiative, Google+ and anyone that thinks that this new social platform will not be 100% integrated into the next version of Android is fooling themselves. While the world has clearly not said the final word about social media, the mobile devices of the future will come with social sharing abilities as part of the experience and not in the form of a 3rd party app. Much like iOS5, you will have the ability to snap a photo and instantly share it with your Twitter network, Facebook friends, or Google+ circles. Foursquare will most likely become a more automated experience that, based on your configuration, might check in to places for you, and your social graphs will become a natural part of your mobile device’s phone book. Again, nothing here is unheard of, but the future will only increase the link between social media and mobile technology. In conclusion, it is an exciting time to be working in the mobile industry and as consumers, our dependency on mobile devices will continue to increase in the coming years. Whether or not this is a positive development, well that is up for you to decide. Please share your thoughts on the future of mobile technology or future trends you can add to this list. You can leave your insights in the comments below or reach out to me on Twitter. I am @hilzfuld. Thanks for a great read!! Welcome To The Future! I’d humbly add a trend that is progressive but massive replacement of desktop devices by tablets and mobiles. This already began with notebooks few years/months ago and now they’re being toggled out by the iPads product category. When speking about mobiles, as it was true right from the beginning in Japan (for cultural reasons) and under-developed economies (for purchasing power and land-line reasons), now it’ll be true for a considerable stake of the mass market because of the affordable, big very good quality screens and app-stuffed OSs-Platforms that allow no-need-to-share private-personal environments. Excellent article. Lots of great info and interesting read. 1. I suggest your first point being replaced by ‘cloud computing’, which might be a major change in coming years. Data sync and sharing will be done via cloud. 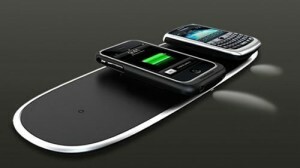 Besides, i don’t see a good chance for wireless charging in near future. 2. other than looking for a easier way of charging, i am eager to see a dramatic development in battery industry, so that we can enjoy much longer working time with the same size of battery. Great & informative article. The impact these will have on the telecom industry can almost be predicted. You will see further industry consolidation & flattening or even drop in their revenues. So, will this impact build-up of fibre infrastructure ? A reader’s guess is as much as mine. The political revolutions, especially in the middle-east was triggered by the ease of Internet usage and spread. Now move-over Internet, its the Mobile that will do the magic, using internet and other platforms. Cheers, and keep these coming.